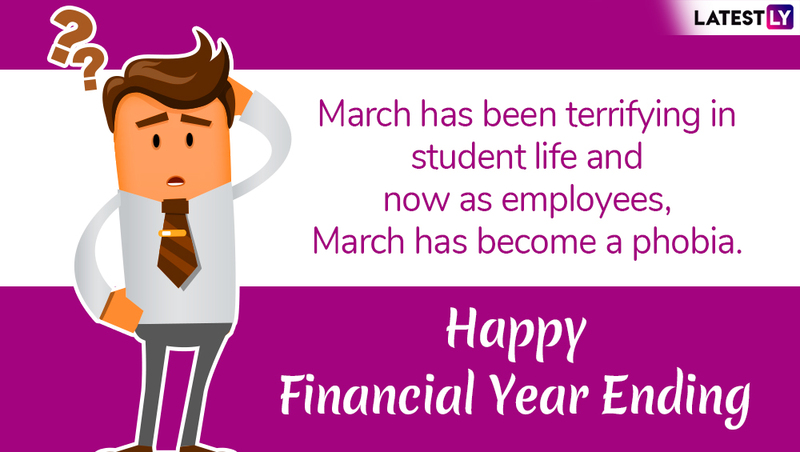 The financial month of March is ending today and it is just the time to share some funny financial year ending jokes. While we saw some introduction of new notes this year, the topic of personal finance is always in distress, at least for most of us. The fiscal year 2018-19 has come to an end today. Although the Indian economy has emerged out as slightly better than the past years (if it is safe to say), the government and private employees are still stressful. 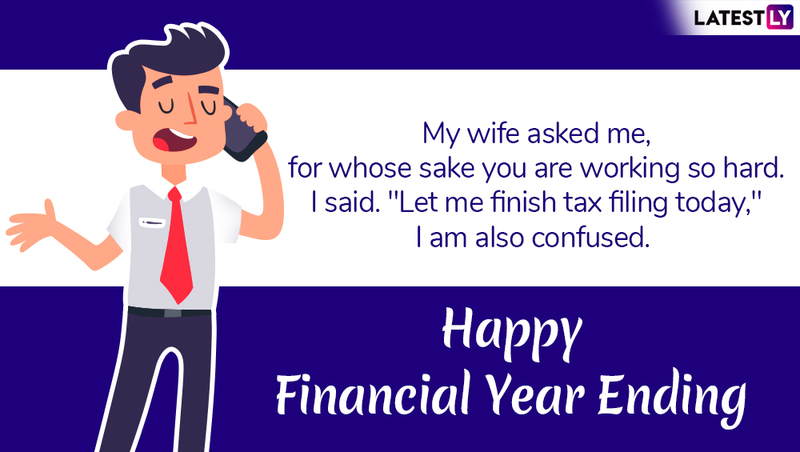 March ending is a taxing time, but let us help you relax a bit by sharing some good old Financial Year Ending 2019 jokes and wishes. 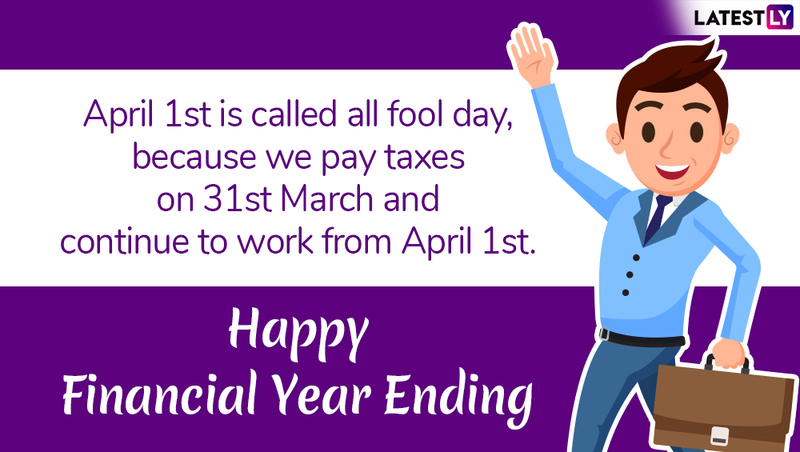 While the employees and grown-ups alike will be busy with their struggles of meeting deadlines and filing taxes, people also love sharing Fiscal Year End 2019 memes on social media platforms. The tax filling process is not an easy one and we are sure you could relate to the memes that come up on social media. They are hilarious will only give you all the ironic fiscal feels this 31st March. April Fools’ Day 2019 Memes: These Lit April 1st Jokes Will Make Your Day If You Love to Prank People. Many must be sick of the old Financial Year Ending 2019 jokes which have repeatedly been sharing at this time every year. While, there are the meme-makers who never shy away to put their puns, using their accurate creativity and humour. Irrespective of these kinds of people, sharing the March end 2019 jokes and memes is the long-known traditions followed religiously every year. After all, this is the best time to share jokes on tax raids, filing income tax, financial year ending and other ironically hilarious topics with your friends and family. 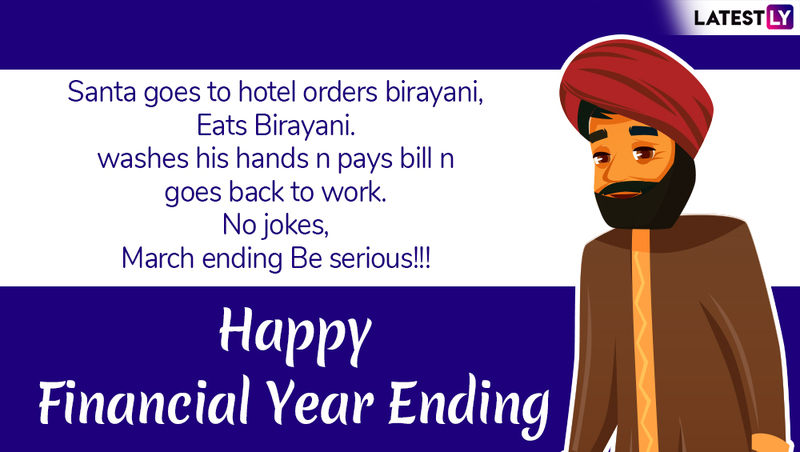 WhatsApp Message Reads: Santa goes to hotel orders birayani, eats birayani, washes his hands and pays the bill and goes back to work. No jokes, March ending Be serious! 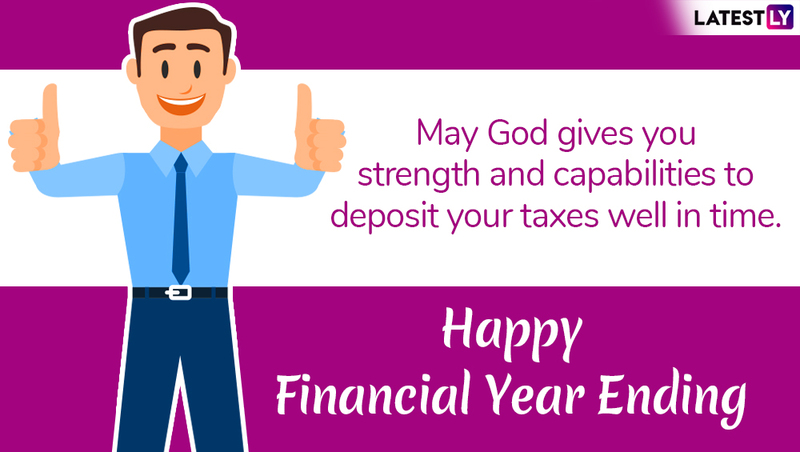 We only hope that the above Financial Year End 2019 jokes and memes will lighten your mood, while you are adjusting to meet the targets. 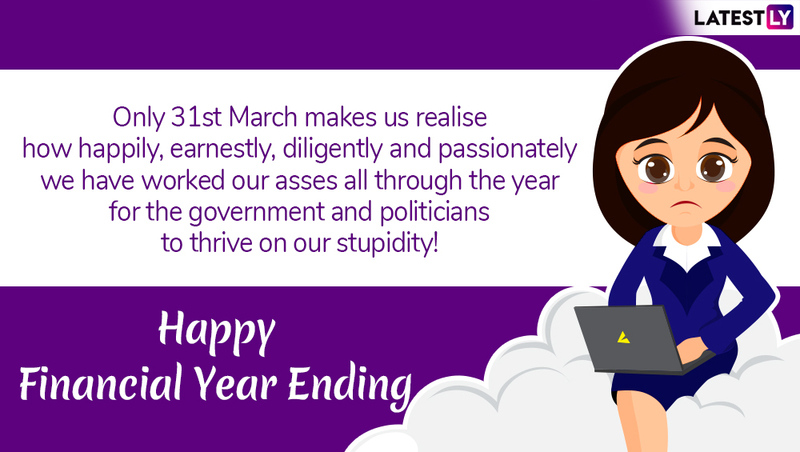 As the stress around March end is serious and extremely frightening, it is essential to stress down a little and share a laugh. The above March end jokes and memes are handy enough for you to send them to your near ones, reminding them of this tough time and the ironic moments surrounded to the Financial Year.